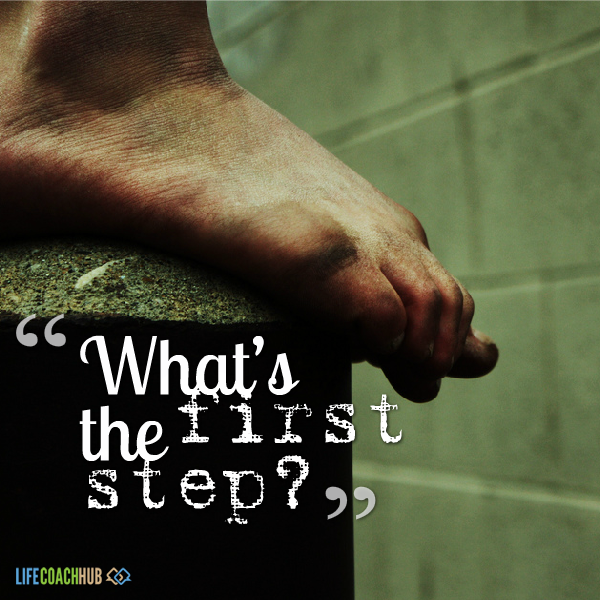 Coaching is a self-improvement process that begins with questions. 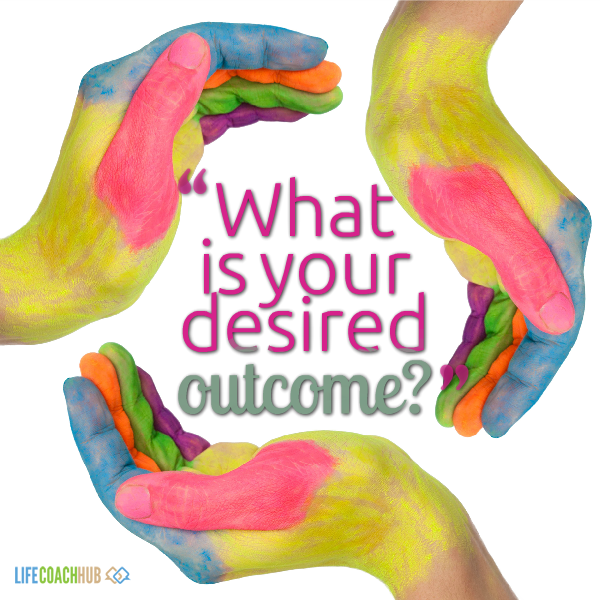 The questions will unlock your true desires and reveal your best path forward. 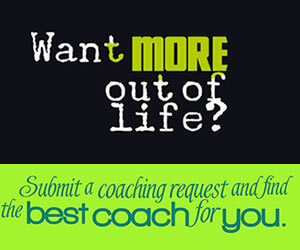 The quotes presented here let you see how coaching opens you up to new possibilities. 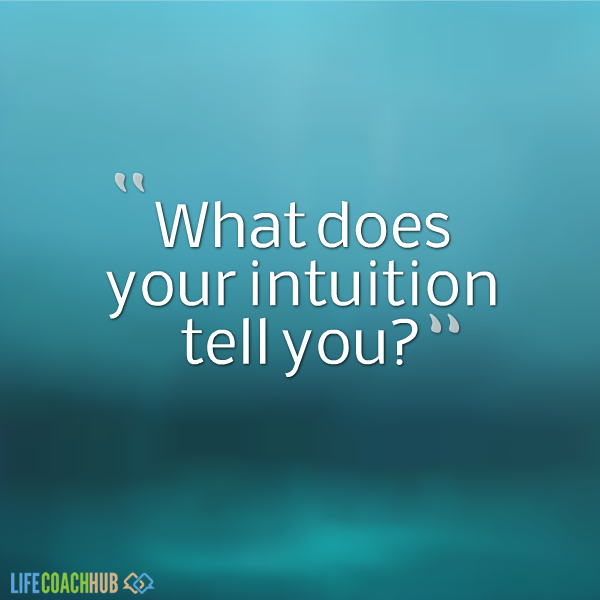 Take some time to think about each question and how it makes you feel. When pondering such questions you need to be very honest with yourself. Don’t give the answer that you think society or your family wants to hear. Search inside yourself for the best answer for you. 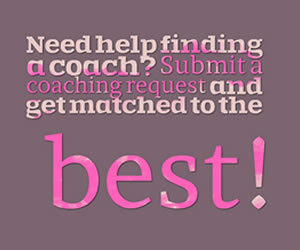 This self honesty is critical because it creates the foundation of your personal coaching process going forward. You need to express what you really feel and desire so that you can design a plan to achieve your goals. 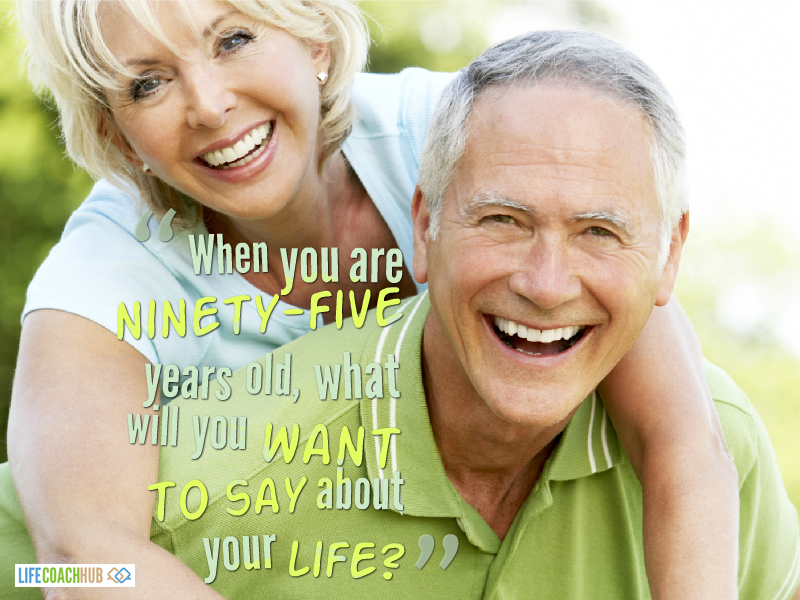 When you are ninety - five years old, what will you want to say about your life? 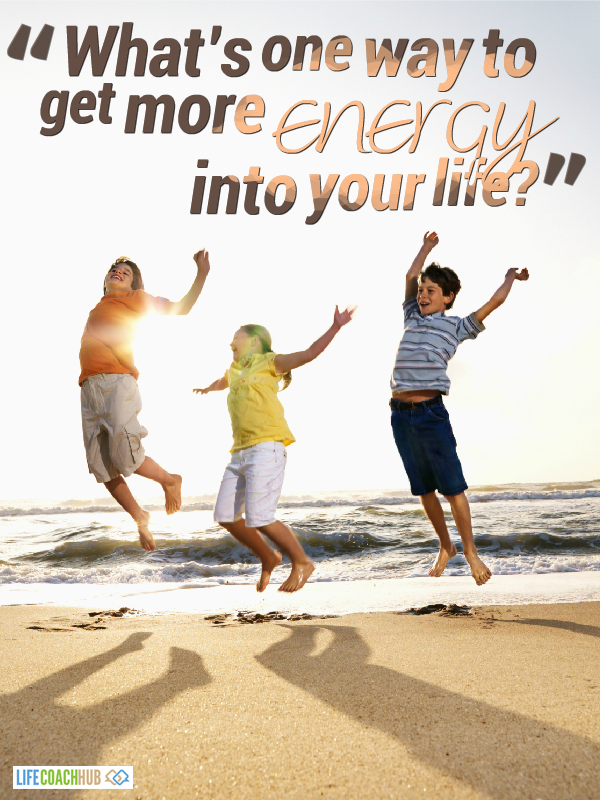 What's one way to get more energy into your life? 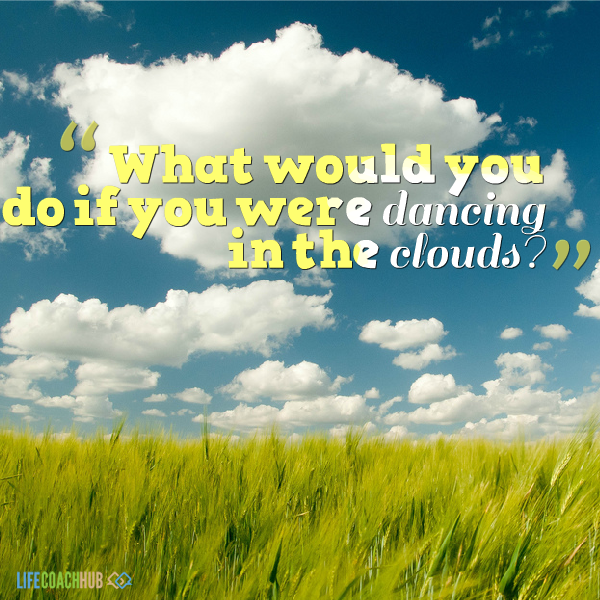 What would you do if you were dancing in the clouds? What great things have been happening? 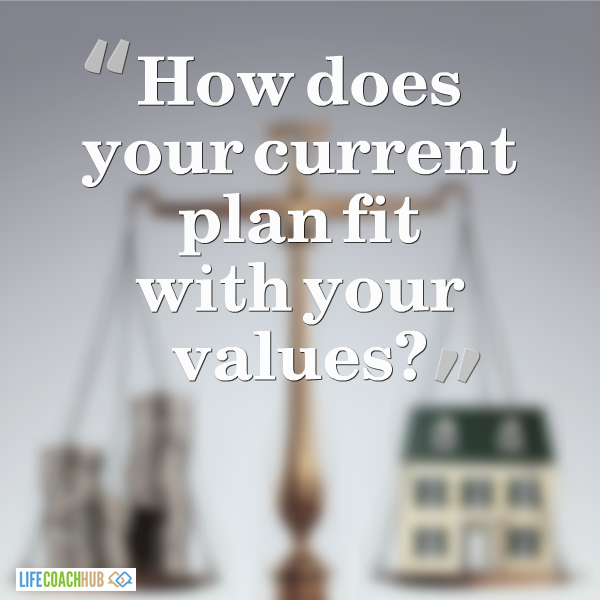 How does your current plan fit with your values? 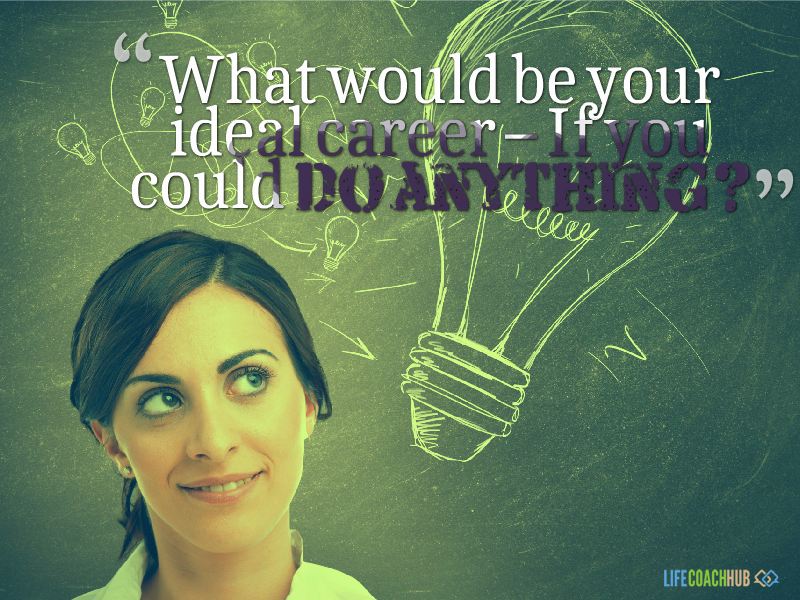 What would be your ideal career- If you could do anything? 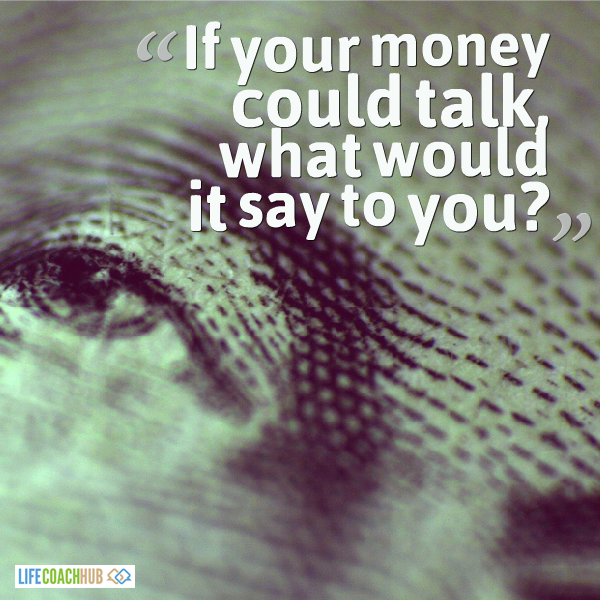 If your money could talk what would it say to you? 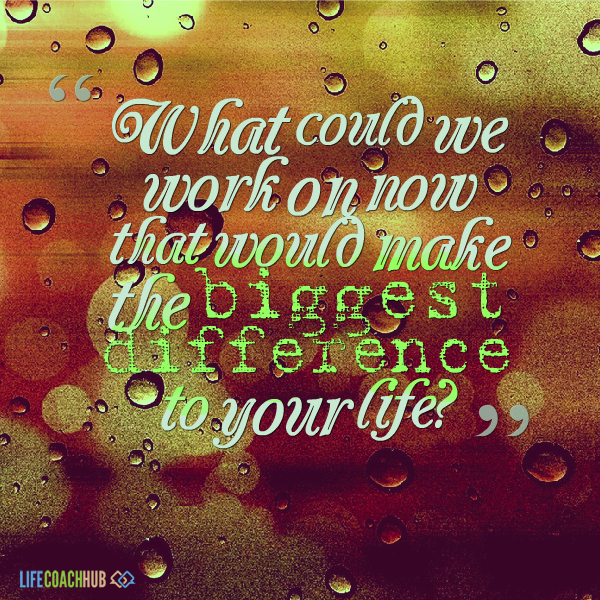 What could we work on now that would make the biggest difference to your life? 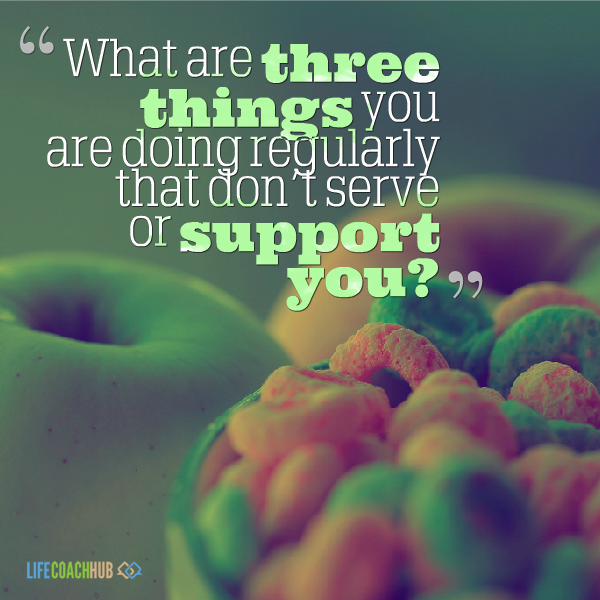 What are three things you are doing regularly that don't serve or support you? What do you hate? 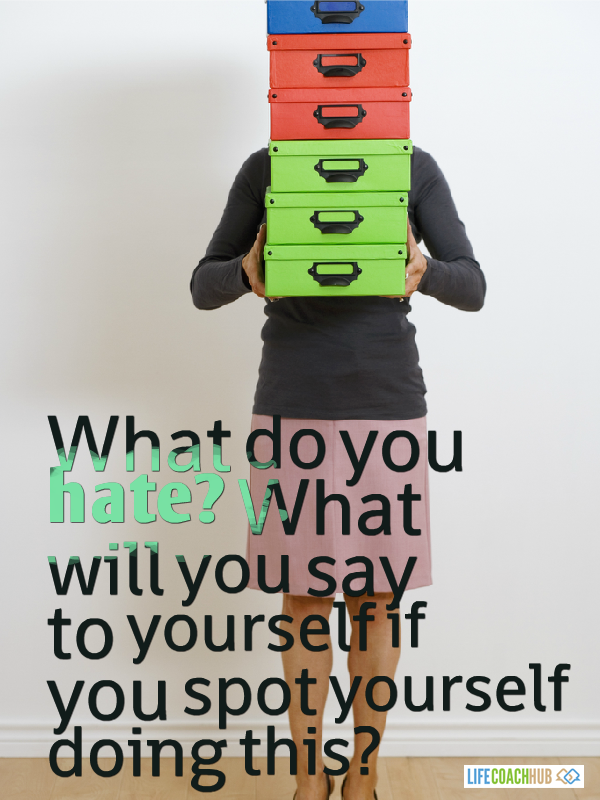 What will you say to yourself if you spot yourself doing this? 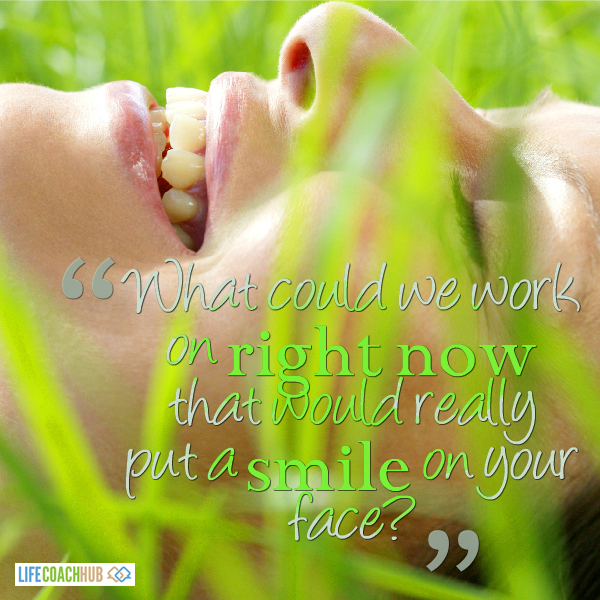 What could we work on right now that would really put a smile on your face? 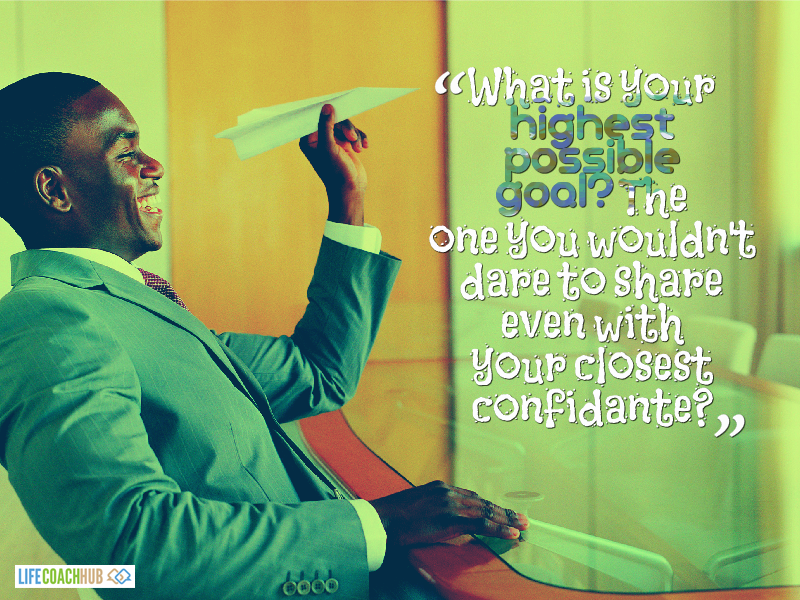 What is your highest possible goal? The one you wouldn't dare to share even with your closest confidante? 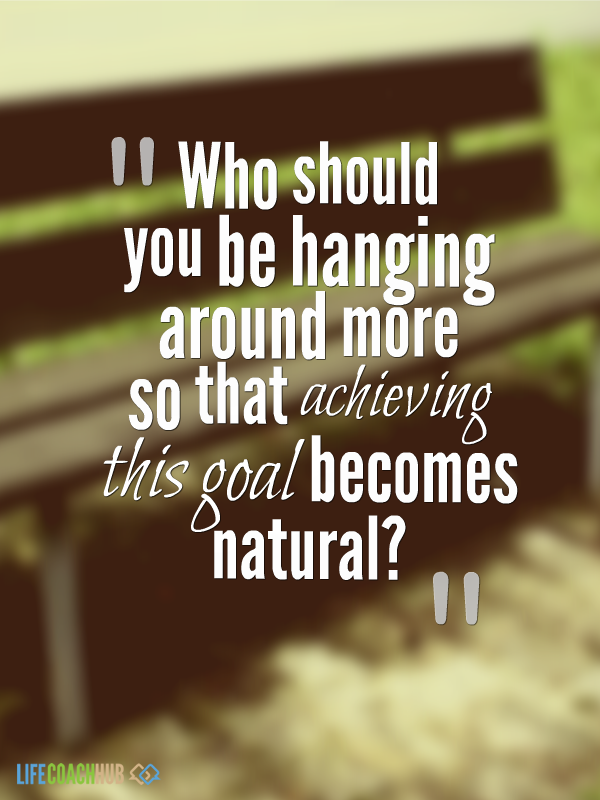 Who should you be hanging around more so that achieving this goal becomes natural? 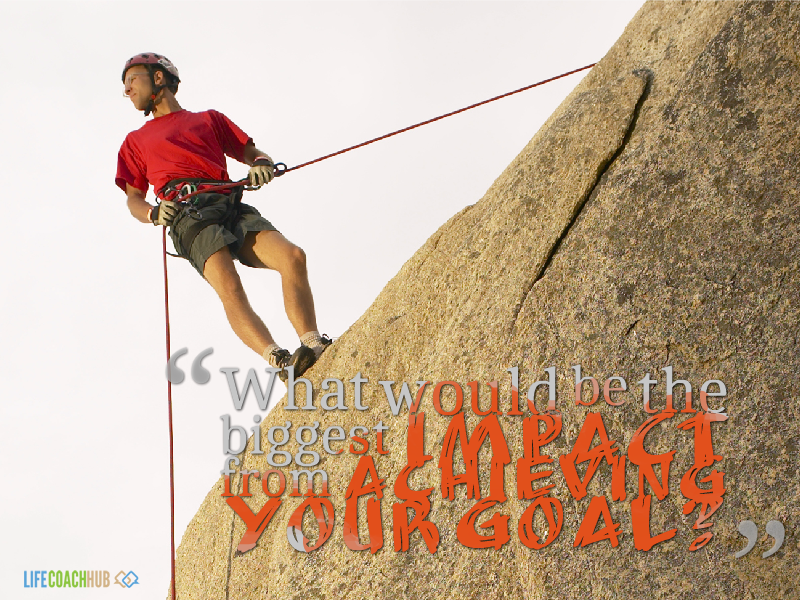 What would be the biggest impact from achieving your goal? 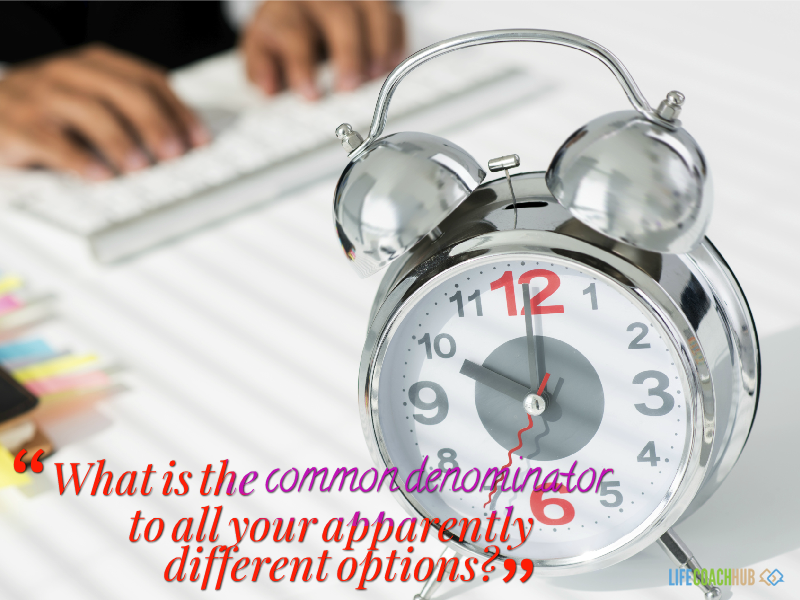 What is the common denominator to all your apparently different options? 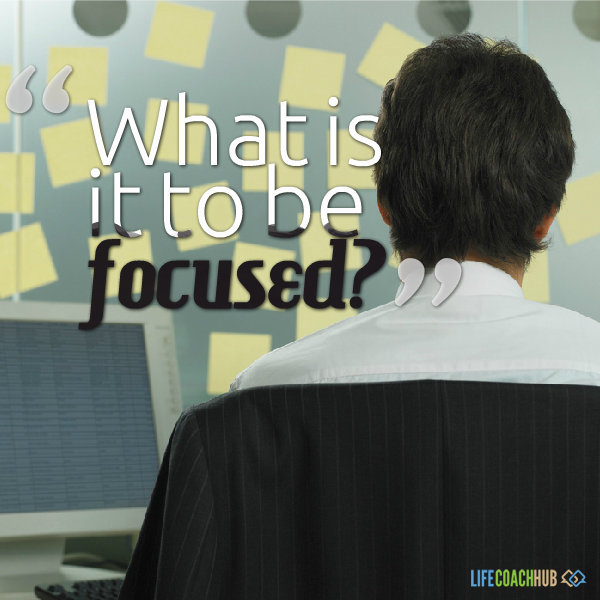 What is it to be focused? What seems to be the trouble? 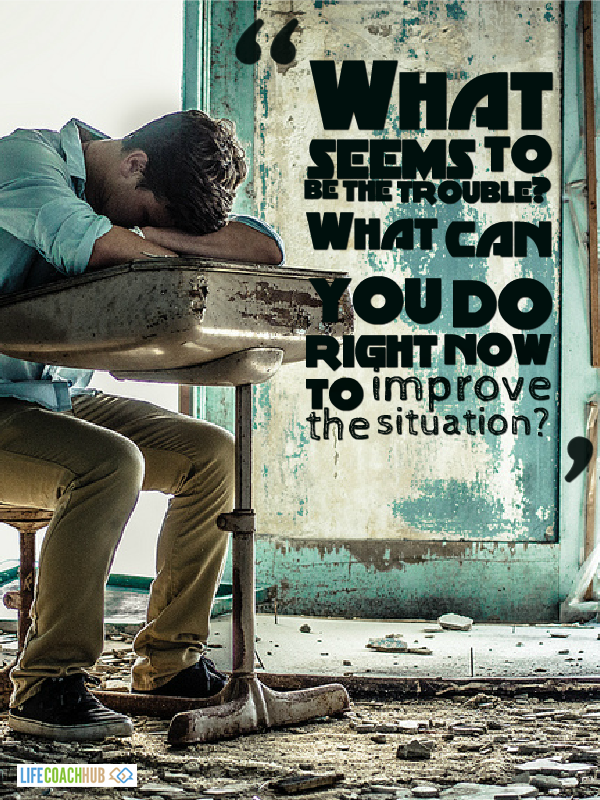 What can you do right now to improve the situation? 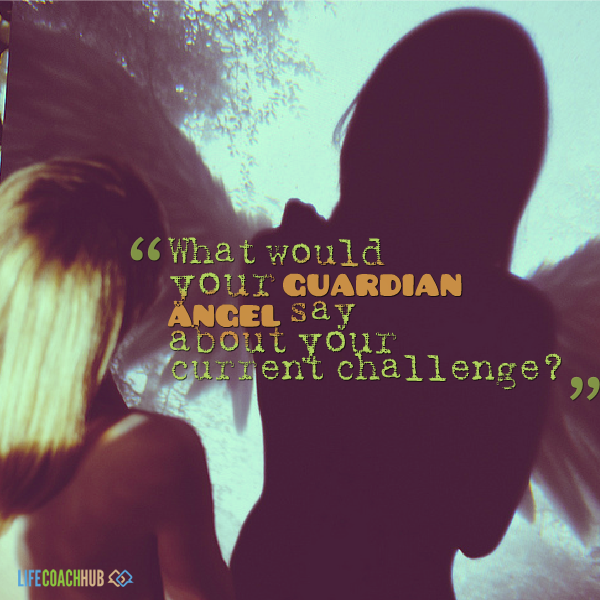 What would your guardian angel say about your current challenge? 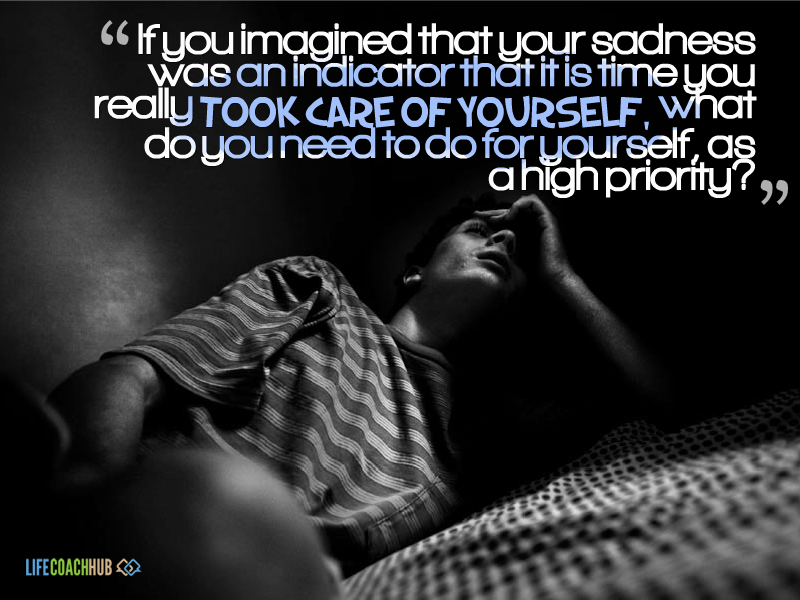 If you imagined that your sadness was an indicator that it is time you really took care of yourself, what do you need to do for yourself, as a high priority? If your fear was just there to make sure you stayed aware of possible risks, how can you use it to proceed very carefully and safely? 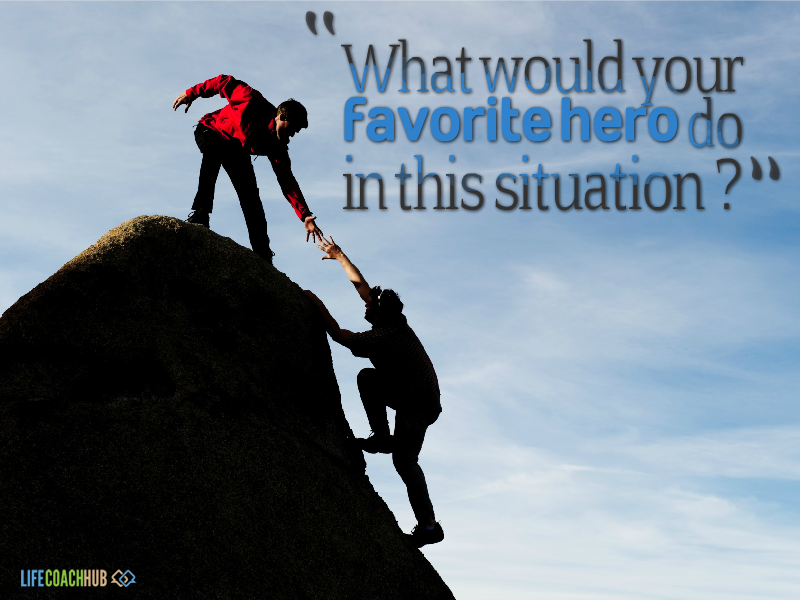 What would your favorite hero do in this situation? 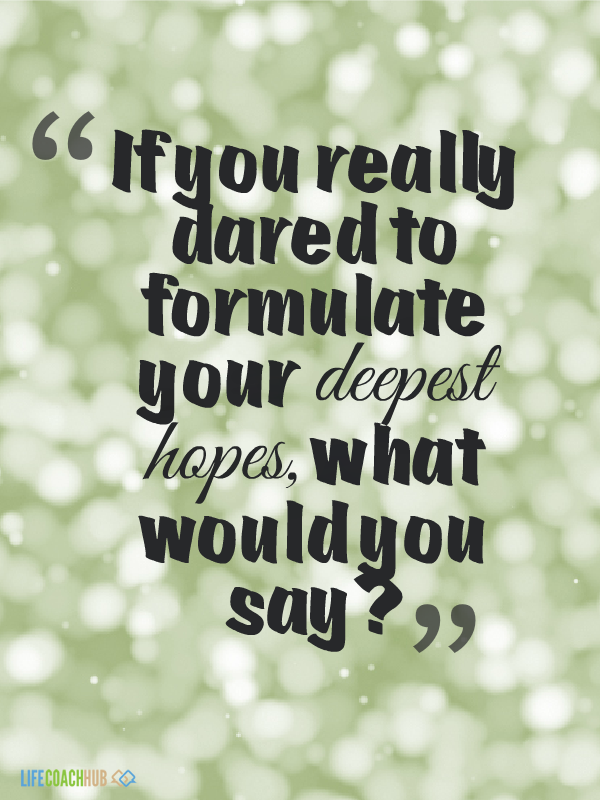 If you really dared to formulate your deepest hopes, what would you say? 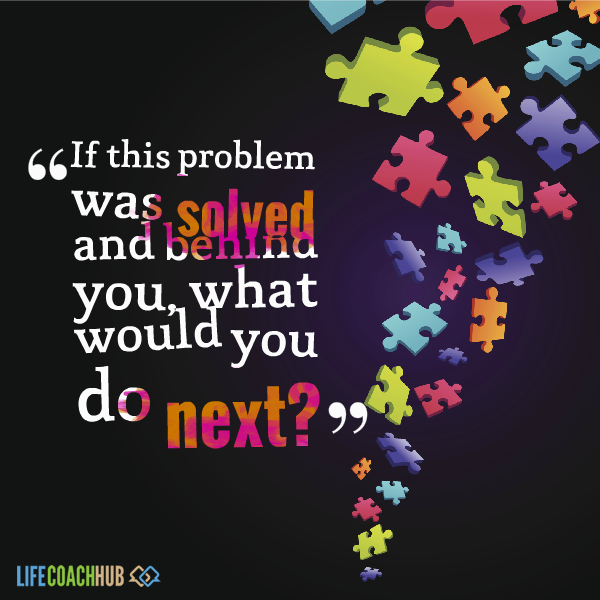 If this problem was solved and behind you, what would you do next? 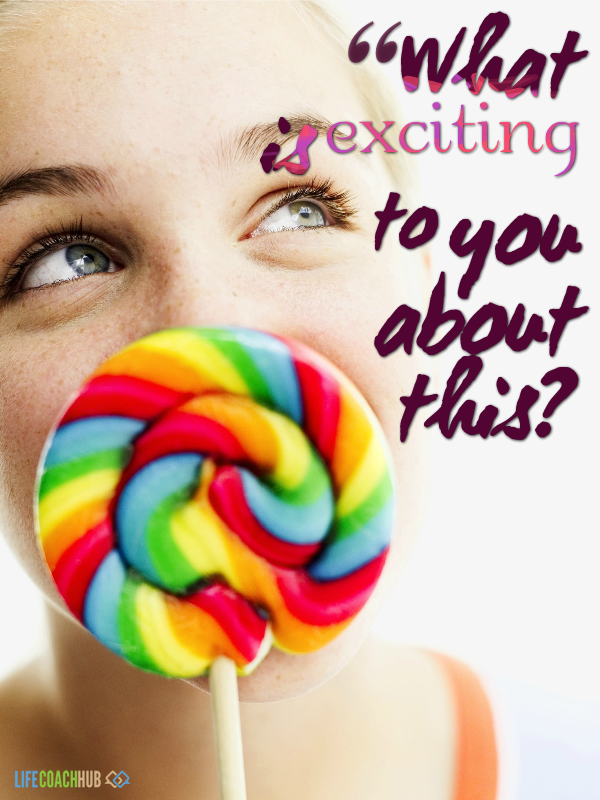 What is exciting to you about this? 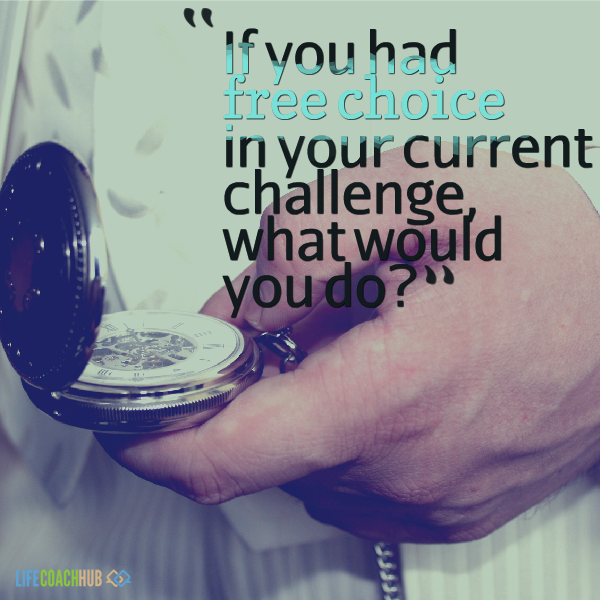 If you had free choice in your current challenge what would you do? 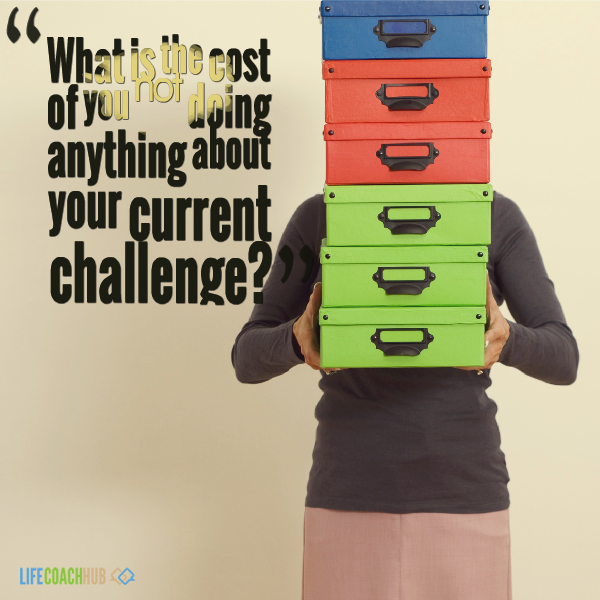 What is the cost of you not doing anything about your current challenge? 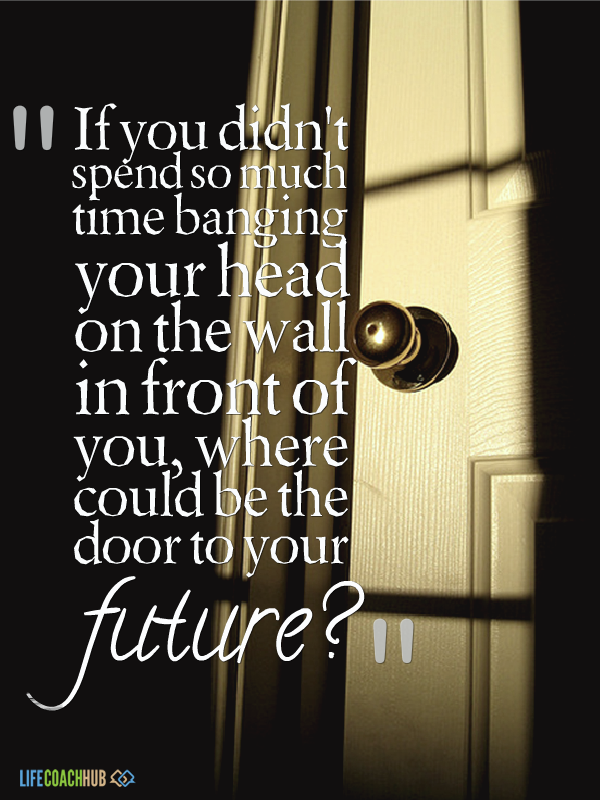 If you didn't spend so much time banging your head on the wall in front of you, where could be the door to your future? 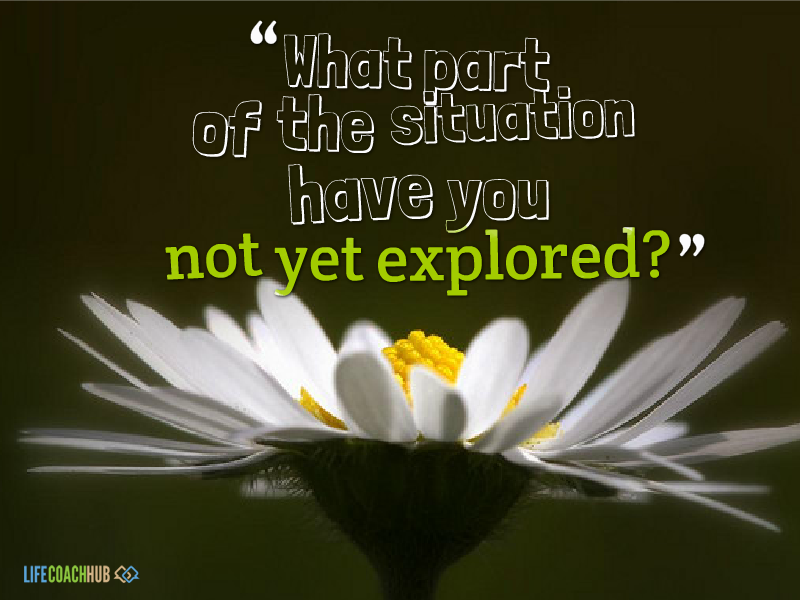 What part of the situation have you not yet explored? 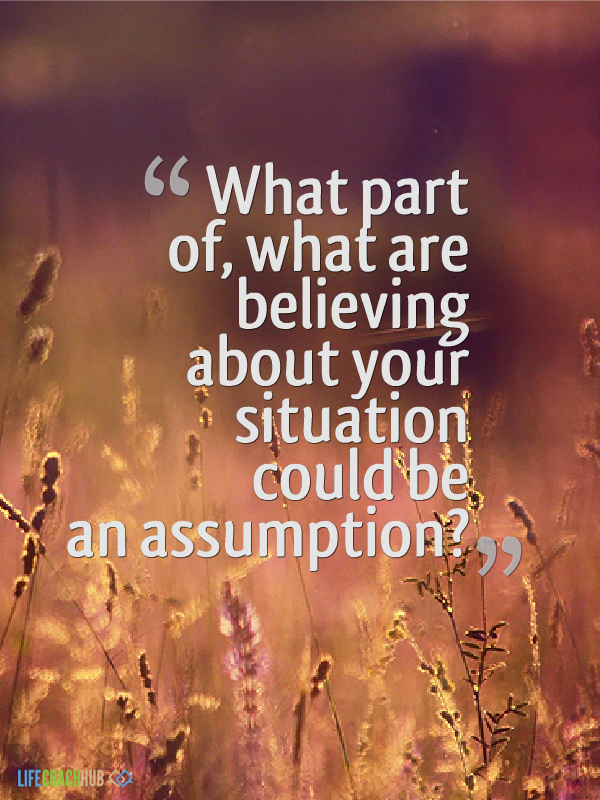 What part of what are believing about your situation could be an assumption? 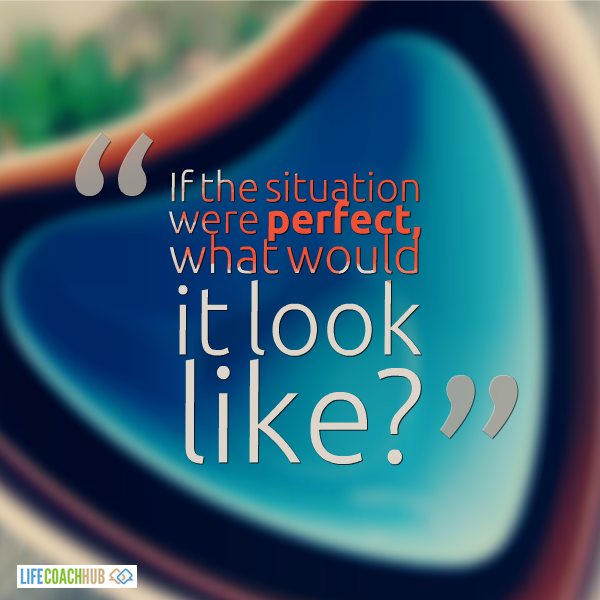 If the situation were perfect, what would it look like? 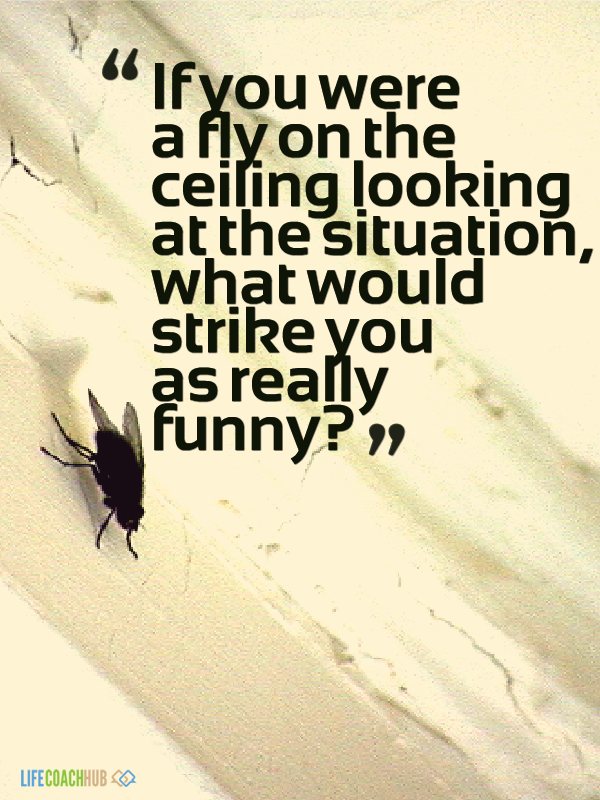 If you were a fly on the ceiling looking at the situation, what would strike you as really funny? 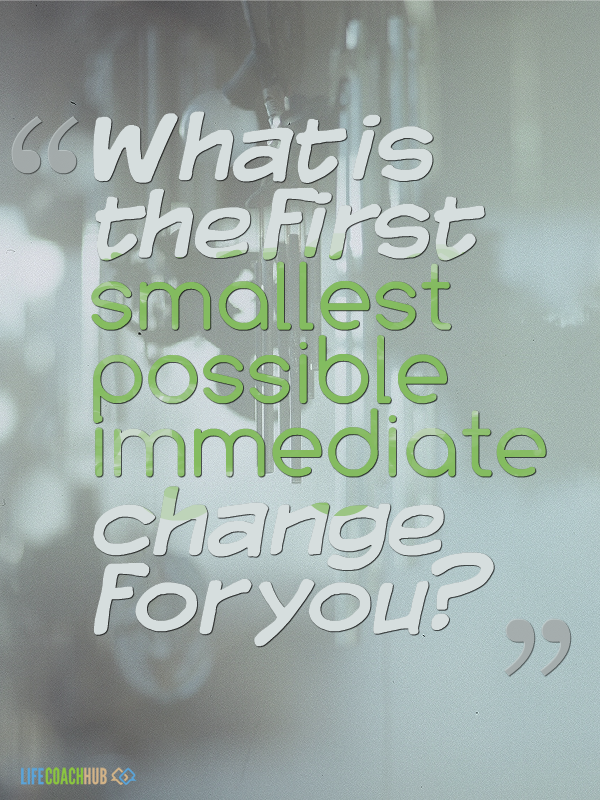 What is the first smallest possible immediate change for you? 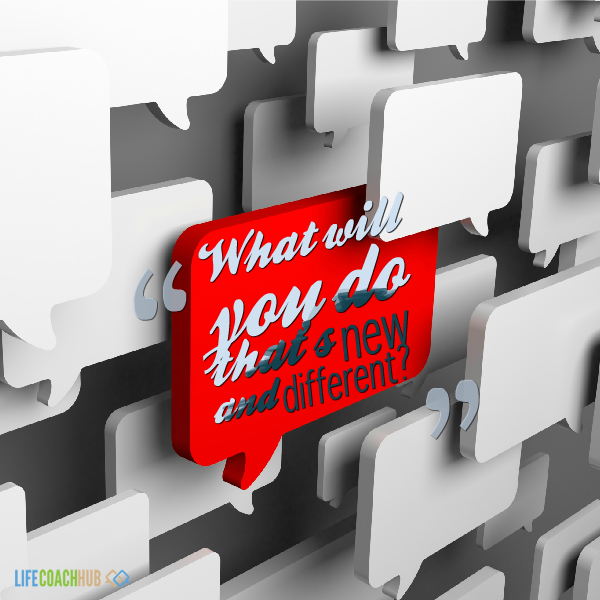 What will you do that's new and different? 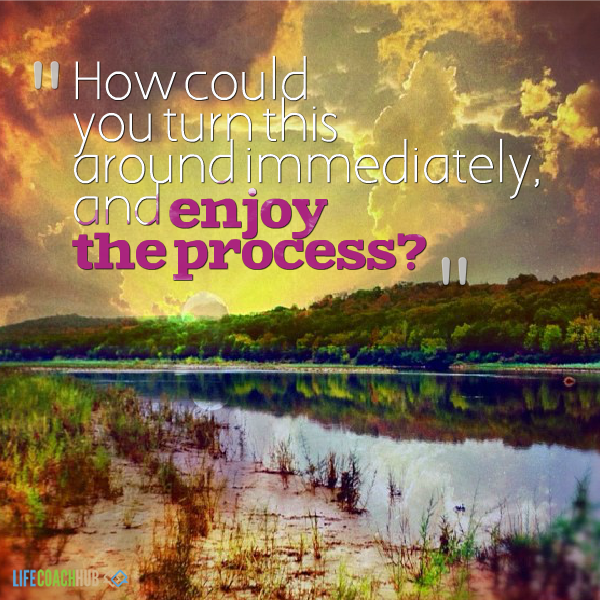 How could you turn this around immediately, and enjoy the process? 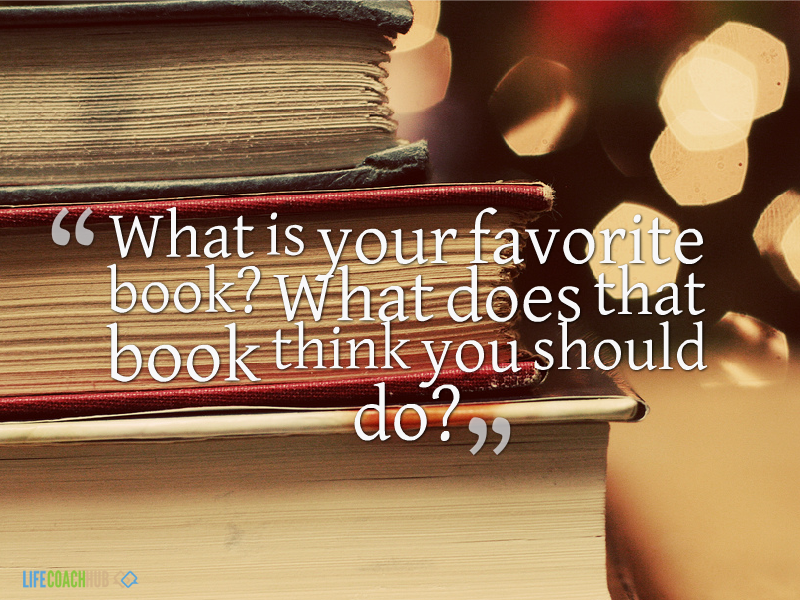 What is your favorite book? What does that book think you should do? 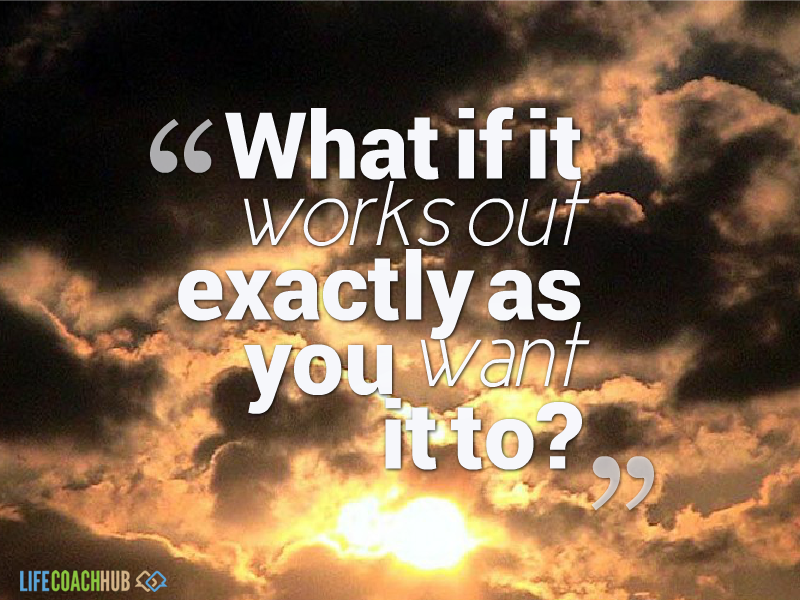 What if it works out exactly as you want it to? 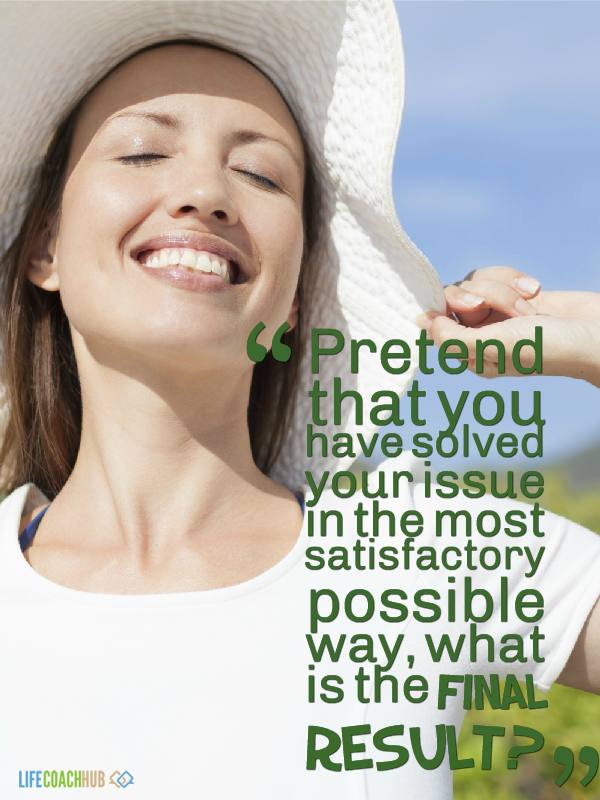 Pretend that you have solved your issue in the most satisfactory possible way, what is the final result? Can you describe how you feel? 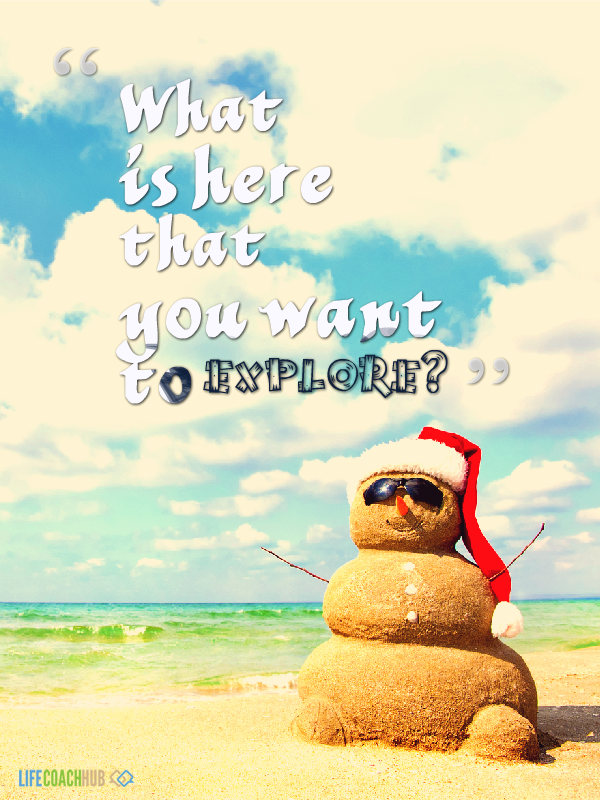 What did you do to get there? Whether you’re working in a formal coaching relationship or not, exploring yourself can immediately shift your attitude. 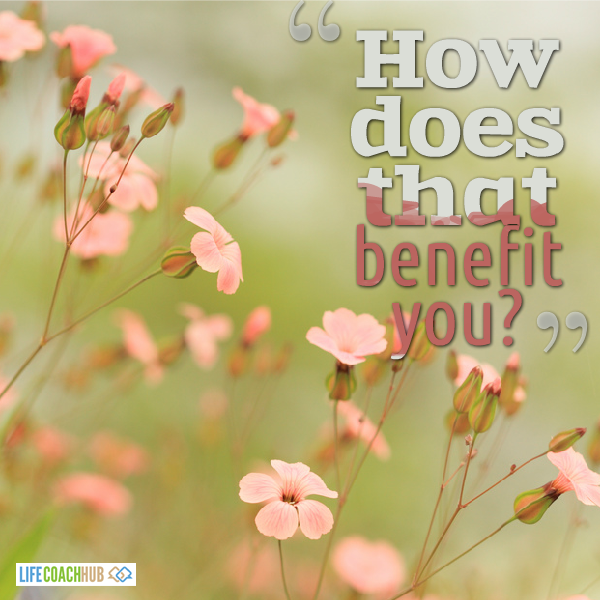 For example, one way people turn their lives around is by asking themselves “How does this benefit me?” It’s not selfish to assess your actions. Too often we put our energy into things that deny us our dreams. 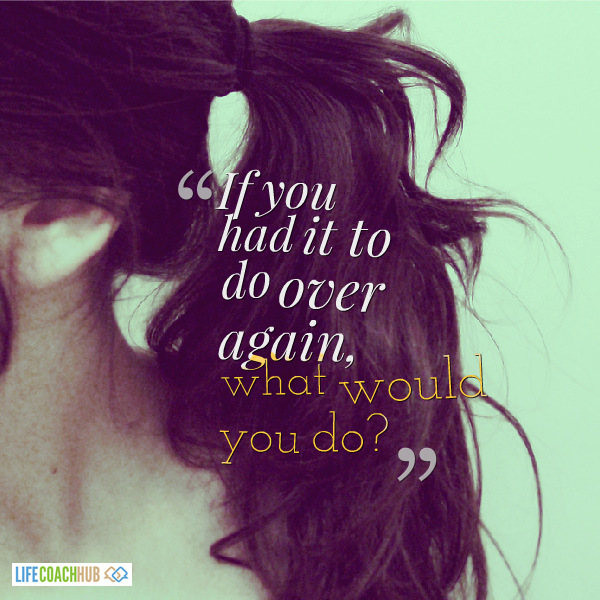 Another powerful question is “Does my life fit my values?” The answer could very well transform your life. 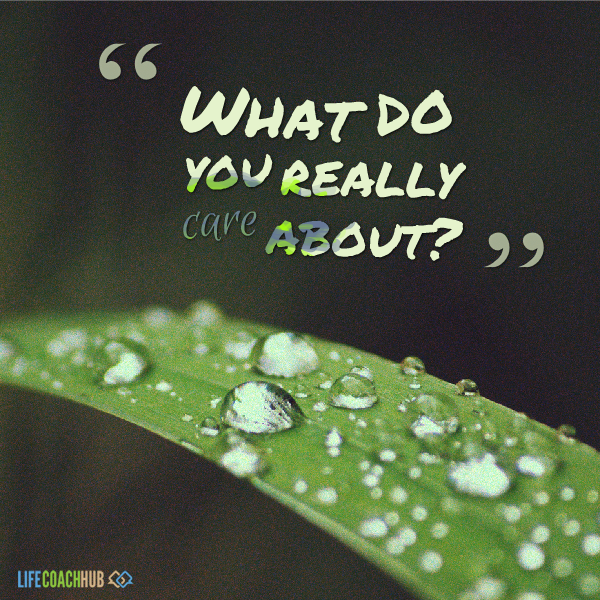 If you’re leading a life that contradicts your values, then you’re doomed to dissatisfaction. Your heart won’t be in it. 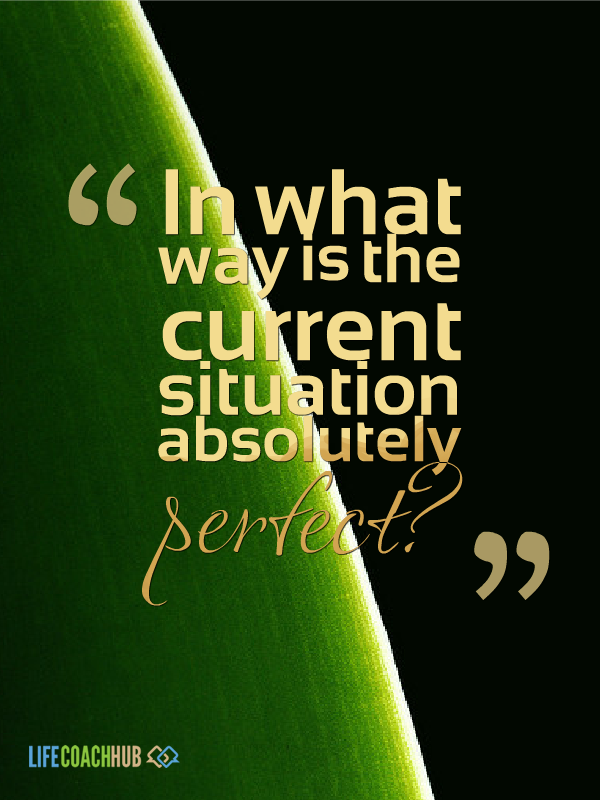 When this is the case, you need to design a lifestyle that matches your core beliefs. 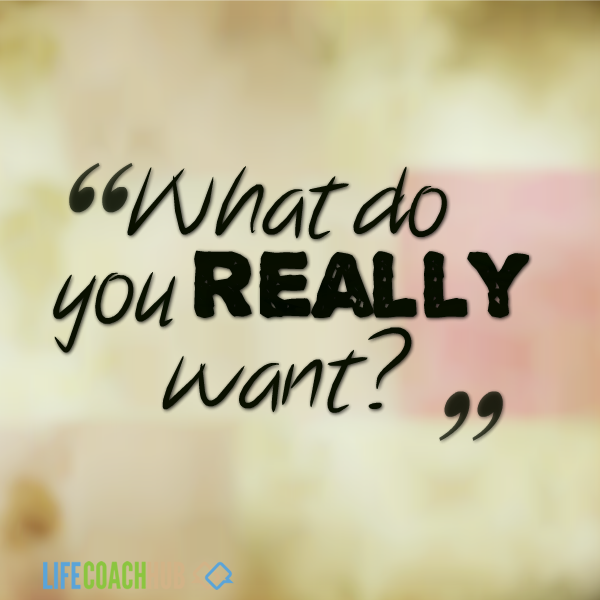 Coaching usually begins with the big question of “What do you really want?” Your answer will open you up to possibilities you may have denied for a long time. 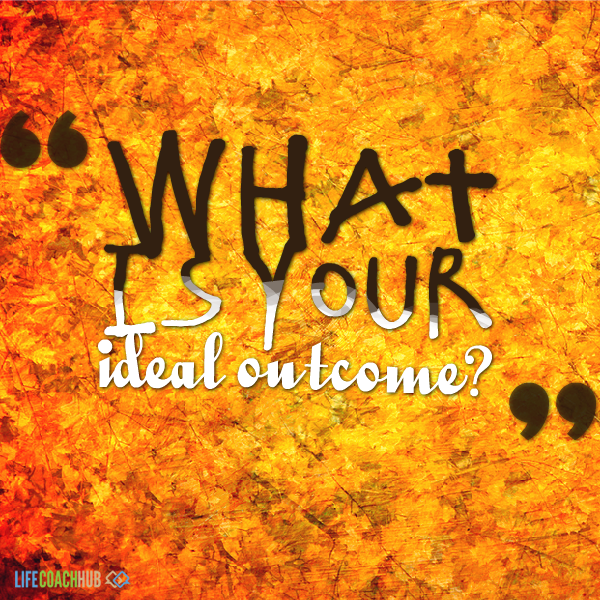 Once you know this answer, then you can create realistic goals inspired by your dreams. 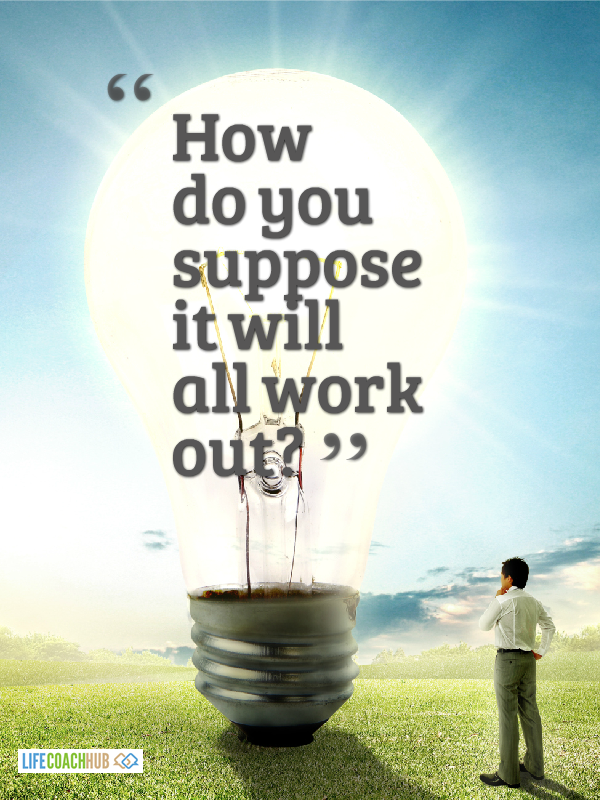 Coaching questions are so powerful because you rarely get asked them. 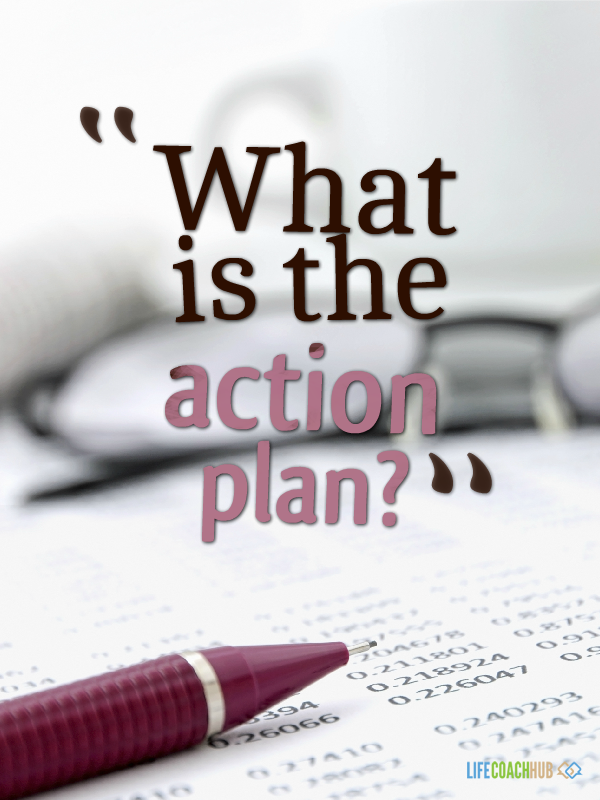 Much of life is being told what to do and struggling to meet expectations. But a new happier life will unfold for you when you take time to reflect. The insights you gain will steer you toward personal success and happiness.